This is the perfect time of the year for making – it is cold outside but inside in front of the fire, with the winter sun shining through the glass, is perfect! My fingers have been busy with new creations and returns to old ones, and gearing up for the next Handmade Market on 28 and 29 July. And I have been trying out my self-description as an artist! I have been surprised at how easily it rolls off the tongue and how people just accept it as a fact! I am reminded that confidence is everything – if you are confident in yourself then others accept that you are authentic. I have filled a few custom orders, and created some new designs in the tea cosy range. This custom order, for the Devonshire Teas being served at the Henry Lawson Festival in Grenville a couple of weeks ago was fun! Of course I have also been busy growing my second business as a Thermomix consultant! It has been wonderful to rediscover my creativity in the kitchen as I am reminded again about all that can be achieved with food and good equipment! I have been enjoying getting out and meeting customers, and having that time for myself on my own terms! Occasionally I think I am mad for trying to grow two businesses at the same time, but they both provide such different inspiration and energy to my life that I am going to keep them both going and see where it leads me! (I was a bit excited when Thermomix released a new recipe collection aimed at High Teas though – the overlap seemed too perfect!) I have uploaded a few recipes to the Thermomix Recipe Community website, so if you are interested in Pineapple Whip, Gluten Free pizza bases or Gluten Free Banana Bread, head on over and have a look! I have also been playing with hiding vegetables in snacks with these spinach scrolls! I had a moment of madness a few weeks ago when, after a cortisone injection in my shoulder left me in considerable pain, I decided to play with a pattern I had found on Pinterest as a distraction from the discomfort. I shared it on my personal Facebook page and my friends started requesting them straight away! I ordered in some nice thick cotton from Bendigo Woollen Mills and have started filling orders for *drum roll please* “Dishcloths of Holey Profanity”. They are based on the pattern created by TeezToppers but I have added in my own variations to make them suit my style. I haven’t decided whether to continue this as a full line in my handmade business but they are certainly providing a pile of fun for my friends at the moment! I say that these are the perfect dishcloths for tackling yet another mess in the kitchen that you didn’t make! In addition to fresh tea cosy patterns I have also been working on restocking jewellery for my online store, Trove and The Collective Store in Brisbane. Next I think it will be time for some candle making as I have some teacups that are just crying out for a bit of love! Of course all of this wonderful time to create does come at a cost. I dread having to open my studio door at the moment as it is chaos in there, and I keep hoping no one drops in for an unannounced visit as my housework is definitely below standard! But my sanity is relatively secure so I am happy despite the guilt! I hope that this season finds you with time to do the things that are important to you! This entry was posted in Uncategorised and tagged consultant, cotton, Craft, crochet, design, dishcloth, fairy house, handmade, henry lawson festival, profanity, tea, tea cosy, Thermomix on July 10, 2018 by a little bird made me. The week has flown by! I am convinced that it is the shorter daylight hours that make things fly past so quickly – or it could be our busy timetable. It has just occurred to me that with the children’s winter sports activities there are only two days a week where I have no commitment involving delivering a child to some activity or another. This could explain a lot! I am trying to be disciplined about using my time efficiently to fit around the timetable, otherwise my little bits of ‘me’ time, those precious moments when I get to make things, will disappear completely. I didn’t do too badly this week, although housework and making the children eat vegetables everyday may have been the sacrifices…. 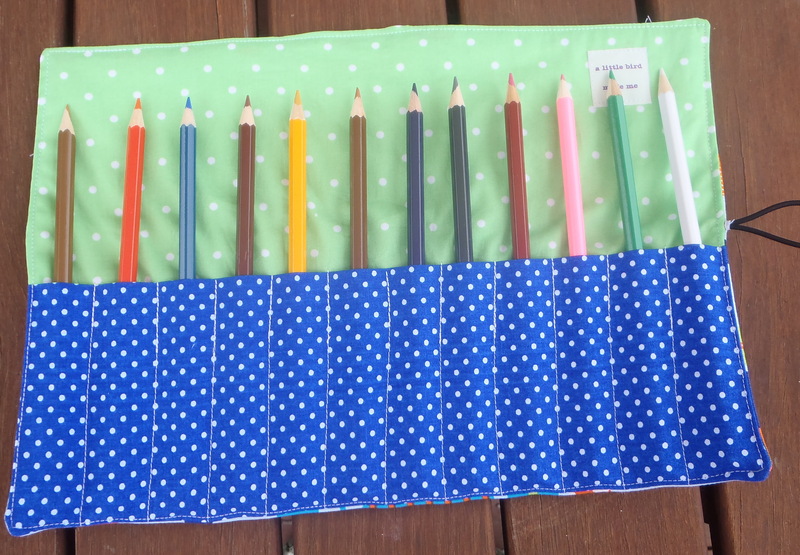 In a roundup of the week I have finished my first ‘giveaway’ on my facebook page, with a lovely winner from a farm in Western Australia the recipient of the art folder. 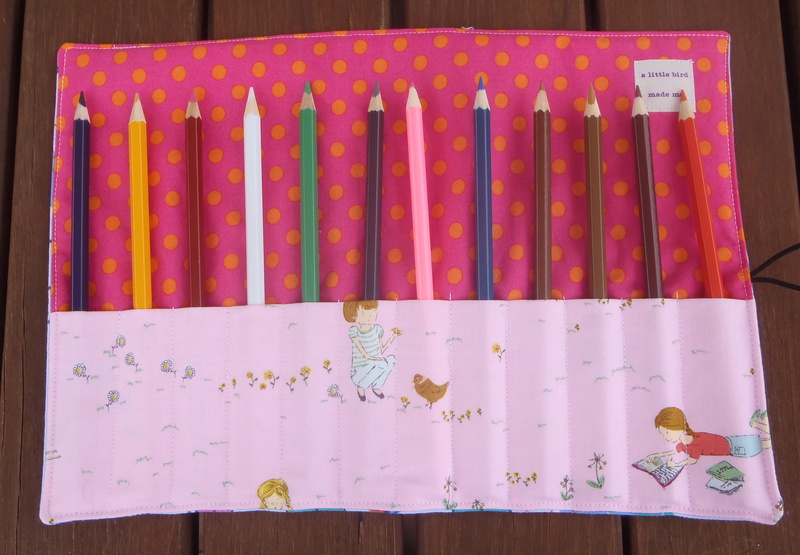 I have made 10 pencil rolls and listed them in my Etsy shop (my first new listing in quite a while! ), made an art folder as a gift for a special little boy who turned 5 this week, crocheted a beret for the artist-in-residence (so fitting!) and prepared to make some more art folders. So with a bit of juggling, ‘crafting’ didn’t miss out this week! 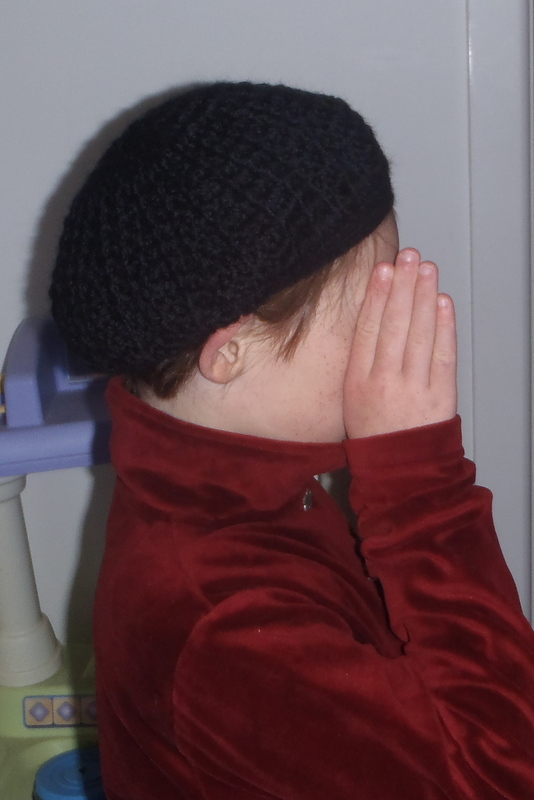 The artist-in-residence’s chosen photo of her new black beret! 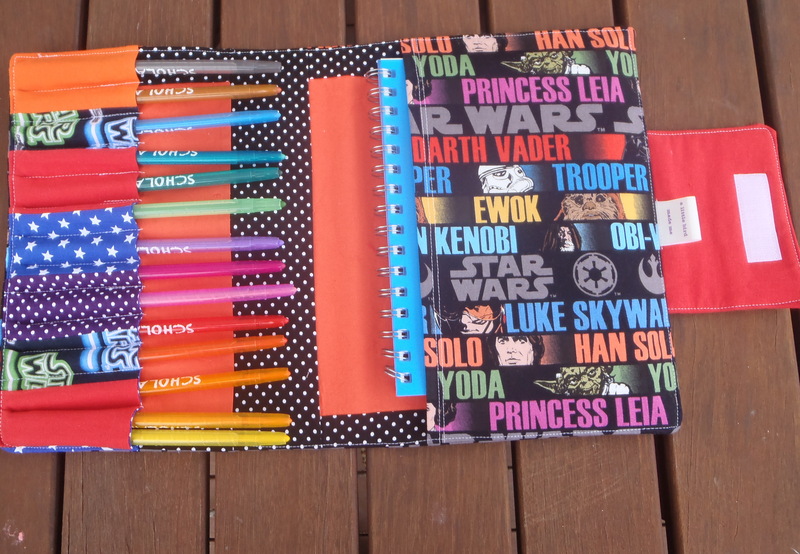 A Star Wars art folder for “Cha Cha”. I also created with sugar this week, for my team at work. Part of it was a promise to bring in my Thermomix and show them how it works, and part was an excuse to have a bit of a break for the team, talking about things that aren’t related to our jobs. I made vanilla bean icecream and chocolate supreme icecream in advance, along with salted caramel fudge and coconut ice. Then I took the Thermomix in and made warm chocolate custard, fruity dream (which is like soft-serve icecream but made completely from frozen fruit whipped with an eggwhite), and an orange sorbet on the day. Sugar, sugar, sugar! My kids were happy as they got some of the leftovers! I was happy as I was ‘making stuff’, and those of my team who were able to attend were happy as they had sweet treats to sample. Next time I am needing to do some ‘creating’ I will have to remember this trick – I might do a savoury sample for them next time. On Saturday night I went out to dinner with friends at a lovely, trendy local restaurant. I have had to admit that I have become a bit of a recluse over the last year or so. I don’t go to the movies, rarely go out to dinner, never have an after-work drink, and rarely invite friends over for a meal. I am not complaining – this is how life is at the moment – but it was nice to get out with adults, nice food, wine, conversation and enjoy their company. I really should try to do it more often……. I am sitting here contemplating the week in front of me and wondering if I will get the time to make some of the things that I want to make…. I hope so! My head is buzzing with ideas – I just need more time (as always!). Short of giving up sleep altogether, or quitting my job (which would have some fairly dire consequences like losing the house and not being able to feed the children) I think I have to find a way to be content with the small pockets of time I can find and savour them. I suspect this is another one of life’s lessons – appreciating what I have and enjoying the moment instead of looking for the next moment. Hmmmmm…..although I have improved in my ability to do this over the last few years, I am probably about due a reminder on this lesson! I hope that you too are able to remember to simply enjoy the moment this week. This entry was posted in Uncategorized and tagged art folder, balance, beret, etsy, pencil rolls, salted caramel fudge, Sewing, star wars, sugar, Thermomix, time management on May 26, 2013 by a little bird made me. The weekend was full of birthday parties. Other people’s parties and our barbeque to celebrate the double-digit birthday. That meant that it was also full of shopping, cooking, cleaning, driving, and organising. Not a lot of time for crafting. Well – not by me anyway! 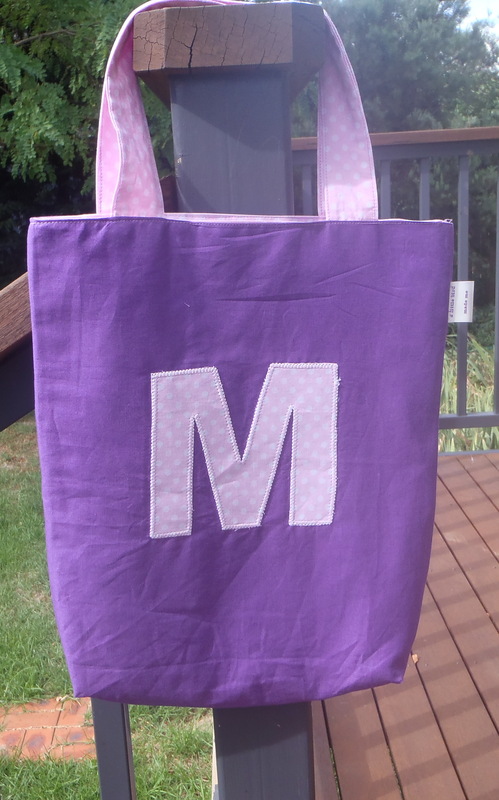 After a week in which I did very little sewing I was keen to get back into it on the weekend. When I realised that this was unlikely to happen I looked at all I had made without sewing and wasn’t too disappointed. Marinated chicken skewers, a Pavlova (the gluten-free dessert of choice! ), salted caramel fudge (our all time favourite – made in the Thermomix using this recipe – mmmm mmmmm…..) and I experimented with making a satay sauce that used pureed sunflower seeds instead of peanuts, to accommodate one of the guests who has a nut allergy. It worked surprisingly well for a recipe that I made up based on what was in the cupboard. Although the child in question of course wasn’t interested in the sauce the adults all enjoyed it! It was a great night with a lovely group of friends – there was a bunch of boys in the yard with light sabers, a bunch of girls hanging out on the trampoline, and a bunch of adults on the deck enjoying the sunset, the cheese platter and the wine. A delightful way to celebrate 10 years as a parent! 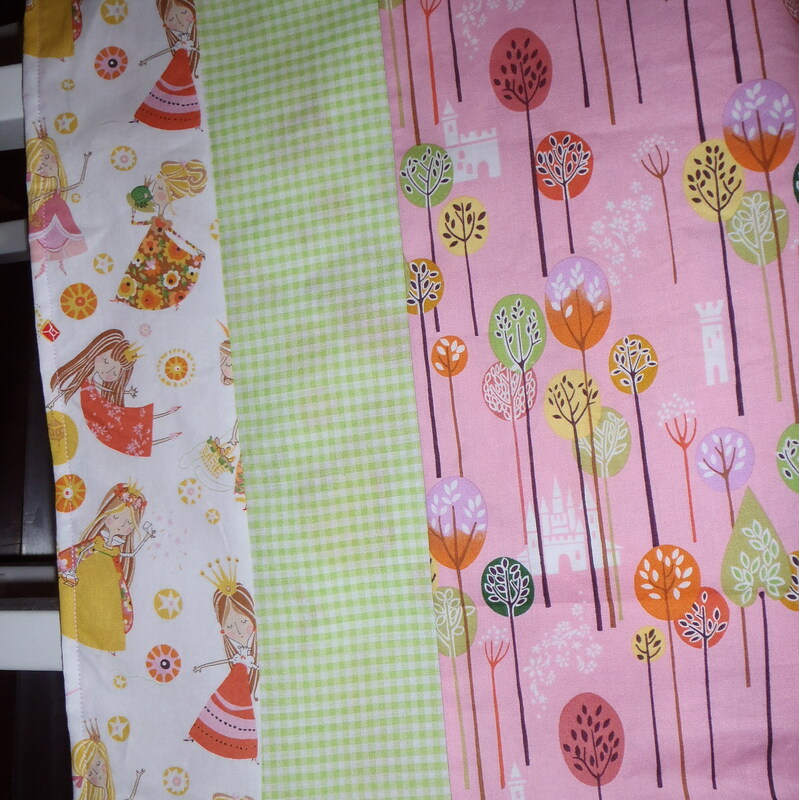 Although I didn’t manage my own sewing, the girls did some sewing and are justifiably proud of their efforts. It is their school swimming carnival tomorrow, and they were both keen to make mascots for their house, which wears green in support of the house members. So these are the results – based on templates that we drew ourselves. 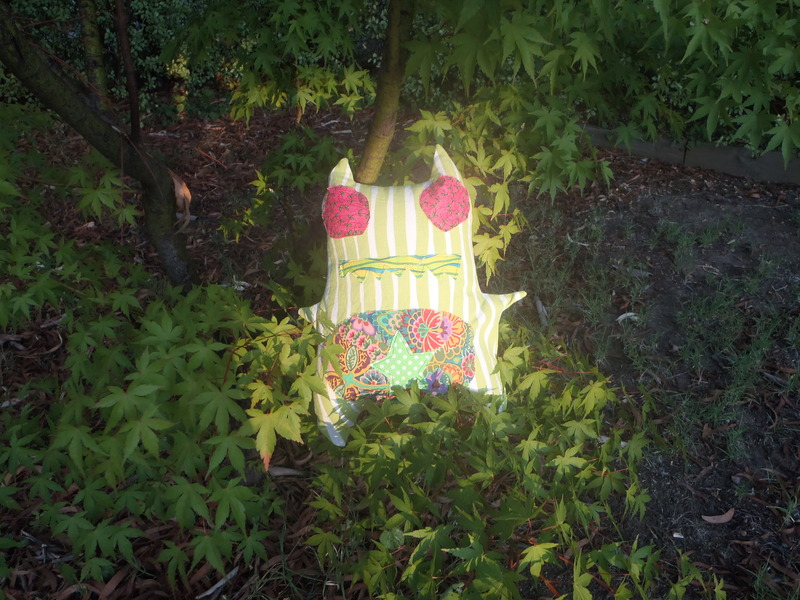 The monster was lurking in a tree in the late afternoon sun! 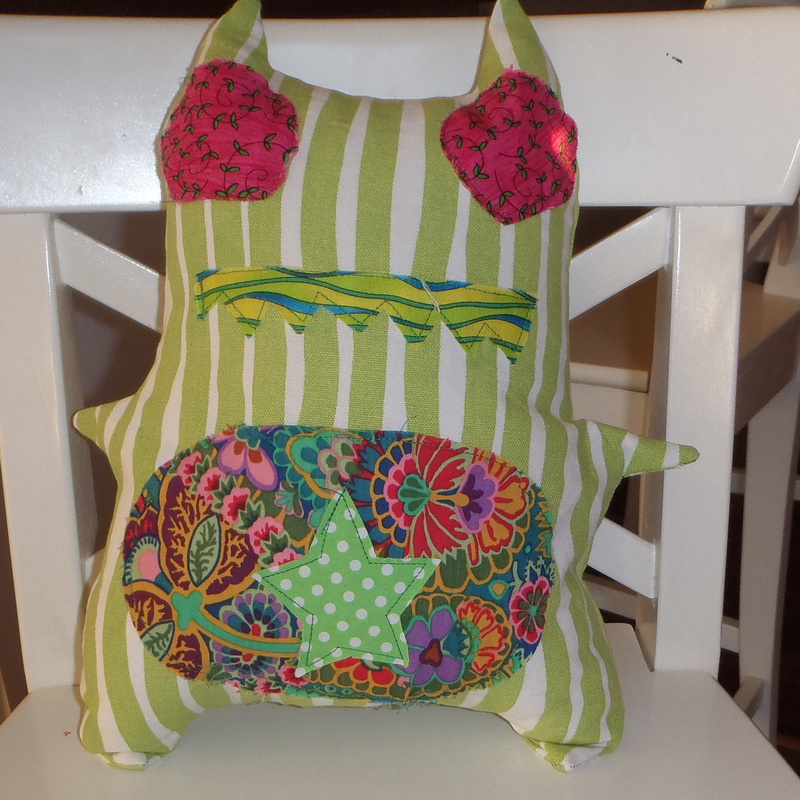 Made of an upcycled cushion cover, with scraps from my collection, the green monster is quite cute. 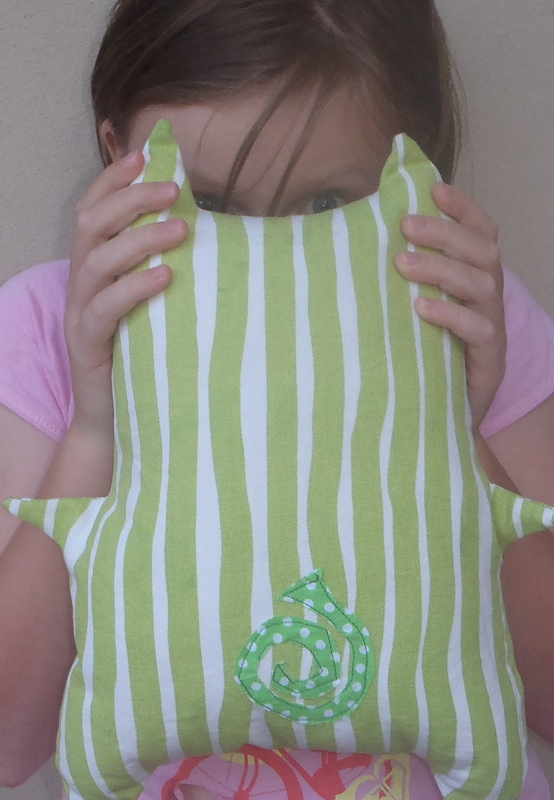 I was particularly taken with the tail that the eldest chick designed – and her chosen pose for the photo! I also managed to finish the library bag and get it in the mail. I am happy with the way it turned out and hope that the little person it is intended for enjoys it, and the books it will carry, for many years to come. It is such a privilege to be asked to make special gifts for little people. Oh look – the fingerprint was obviously there last week too…. So the weekend finished with the house in order, the week planned out and me ready to start my week of early starts with the babysitter lined up to be at the house by 7am to prepare the kids for school and get them there. Hmmmmm……. the best laid plans. All was going well this morning – I woke up to find 2 children snuggled in with me, and managed to get up, get dressed, tend to the chickens, have my breakfast and prepare my lunch without them waking. When the babysitter arrived, however, all hell broke loose! The dog was going berserk with excitement at seeing the babysitter (who is also our house and dog sitter) which obviously woke the boy. He had snuggled over next to his sister after I got up, which had pushed her to the edge of the bed. So when he started to stir and stretch he pushed her out of bed, and she hit her head on the bedside table, so woke with a fright, in pain and screaming. So between the screaming, the dog, and the other two children waking and attacking the babysitter with hugs and non-stop stream of consciousness stories it was complete chaos! Looney Tunes could learn a thing or two from our house. The good news is that the middle chick got the all clear from the doctor and had a lovely day quietly drawing and colouring and playing on her iPod in my office. The other two got off to school with no drama and we had a calm afternoon after school. 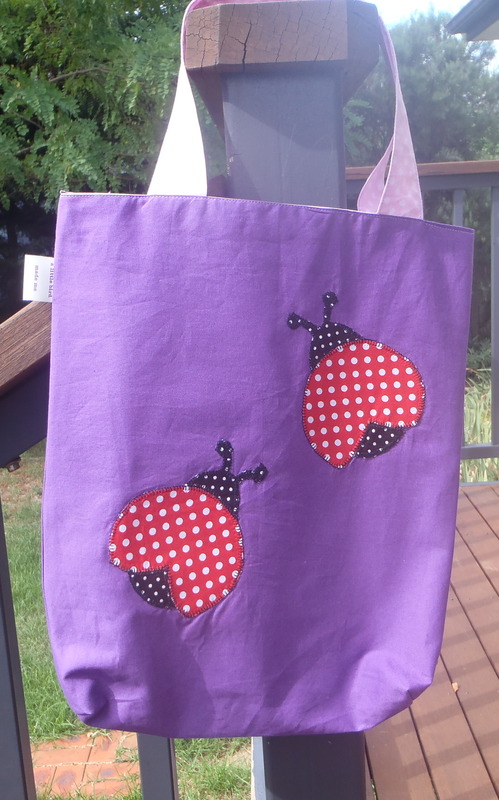 After all of that I decided that I needed to at least start sewing something tonight – my creativity bug was itching away, floating ideas around in my head. 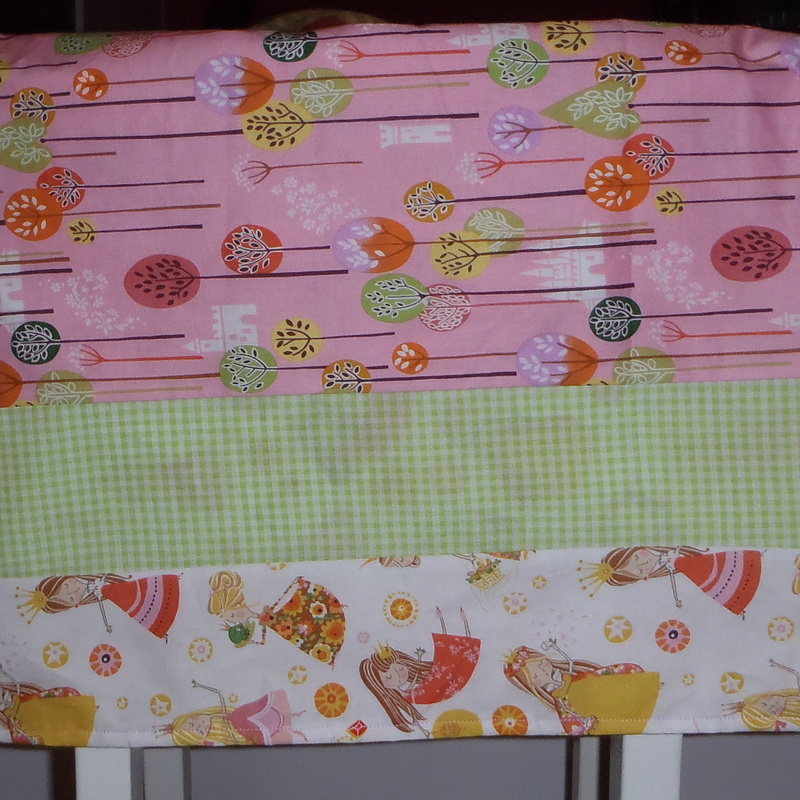 So I went with pillowcases – and managed to make two! I can of course tell anyone who asks what I will do differently/better next time, but I am trying to learn to just enjoy them as they are, so will iron them and photograph them properly and put them up in my shop soon. 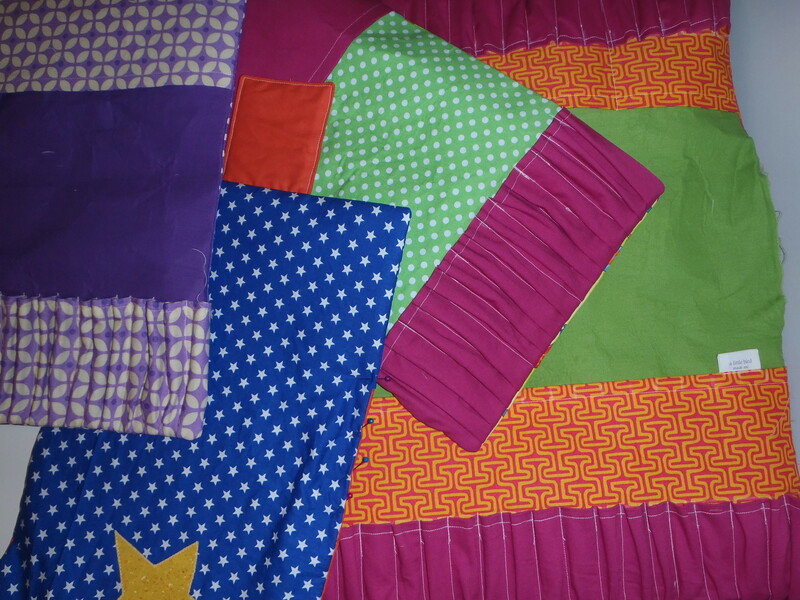 I am hopeful of a week of sewing after so little over the last couple of weeks, so stand by for a burst of colourful creativity, or alternatively a stream of colourful language if my plans have to change again! Wishing you all a colourful creative week. This entry was posted in Uncategorized and tagged baking, birthdays, colour, Craft, family life, gluten-free, library bag, pillowcase, salted caramel fudge, Sewing, Thermomix, toys on February 18, 2013 by a little bird made me. I always start the weekend with a long list of things that must be done, or that I want to do, but it is rare that I reach the end of Sunday and have it all ticked off as completed. However I normally end up doing a whole pile of extra things that weren’t on the list but that were important (in the scheme of things). This weekend has been no exception. The list of things I didn’t do is long and quite boring, but the things that I did instead have been quite lovely. 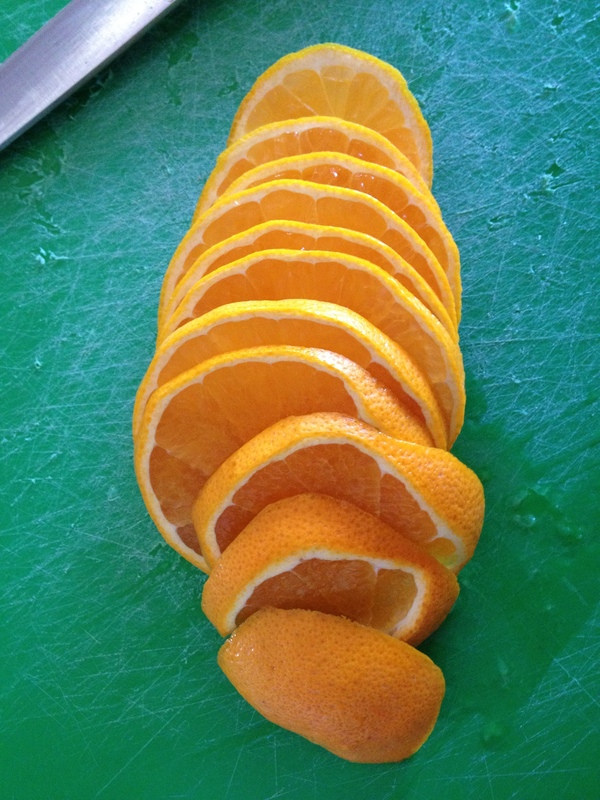 Like making marmalade! I don’t remember ever making it before but the sight of all my citrus fruit in the bowl not getting eaten while the children are away prompted me into action. 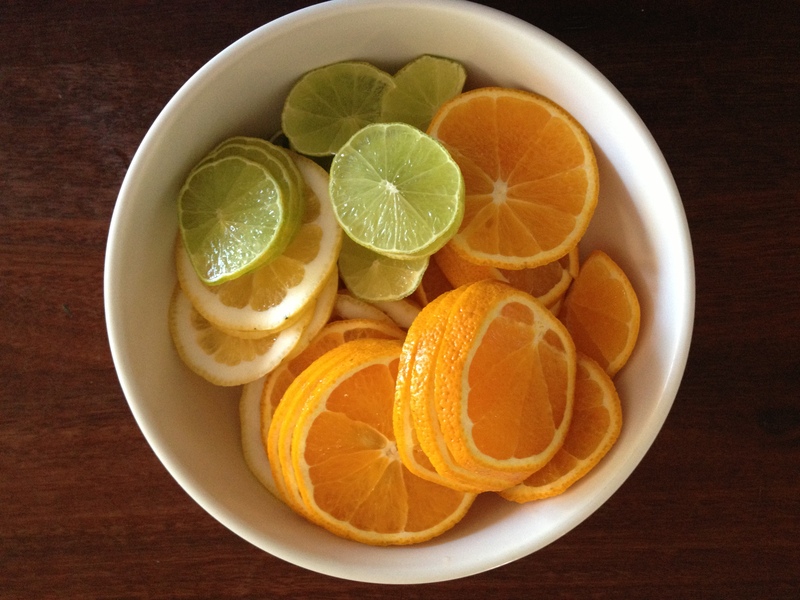 The oranges were so orange! 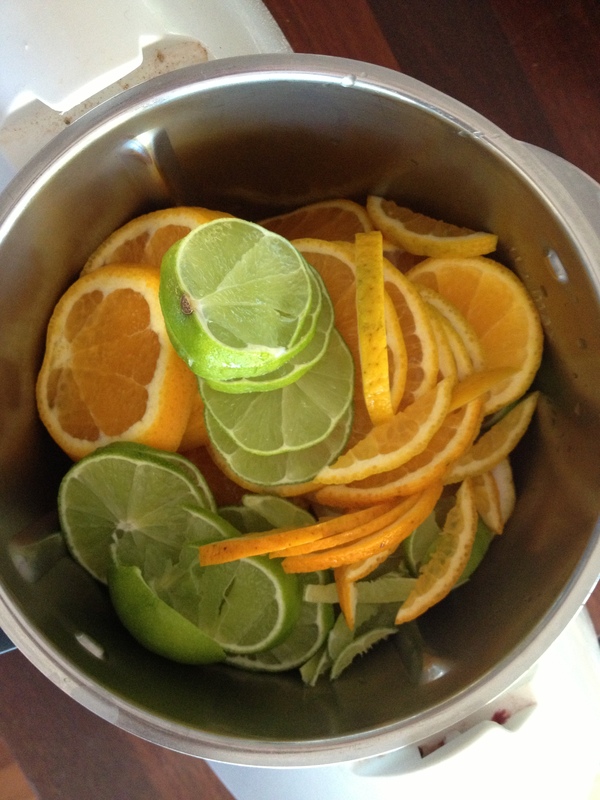 Then I threw in some limes and lemons and tried hard not to hum a nursery rhyme while chopping away. And then the important part – into the Thermomix, add sugar, and let the machine do it’s thing. And hey presto! 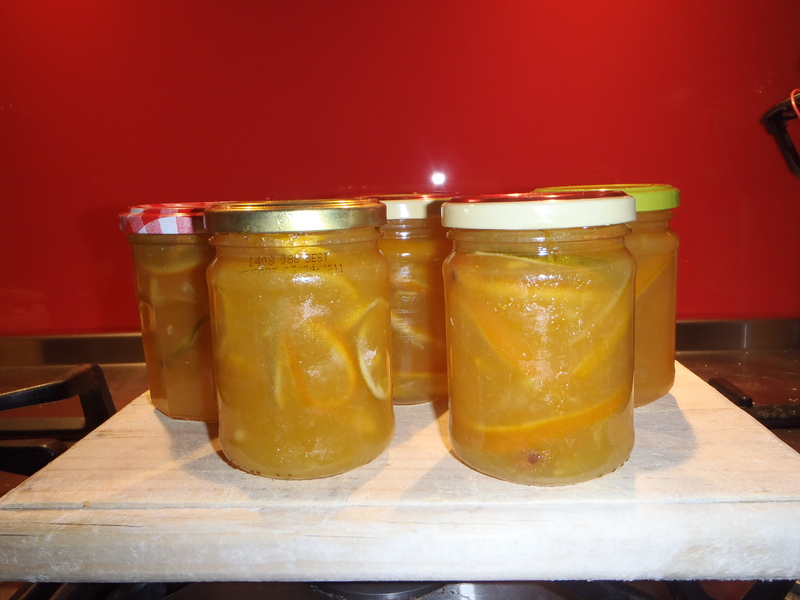 Five jars of marmalade waiting for their labels! Could be a good excuse to have toast for breakfast tomorrow. 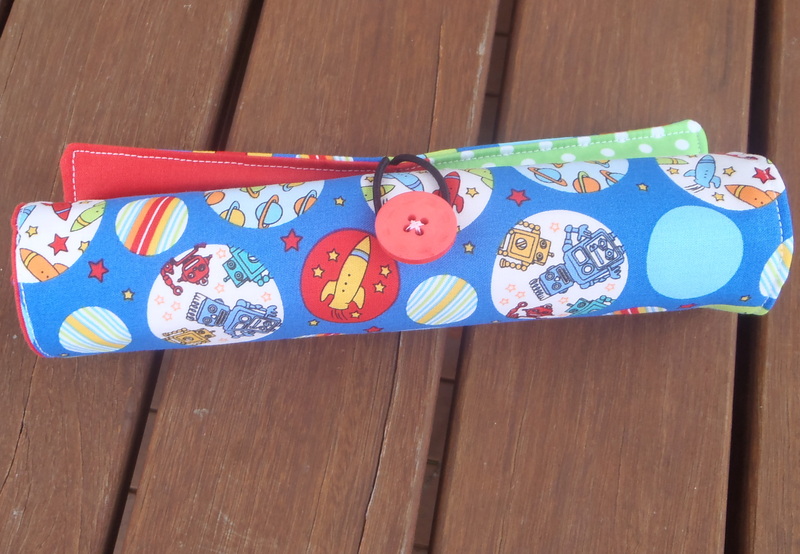 I spent the afternoon playing with fabric and trialling new methods of making pencil pockets for my art wallets. I think I have it mastered. 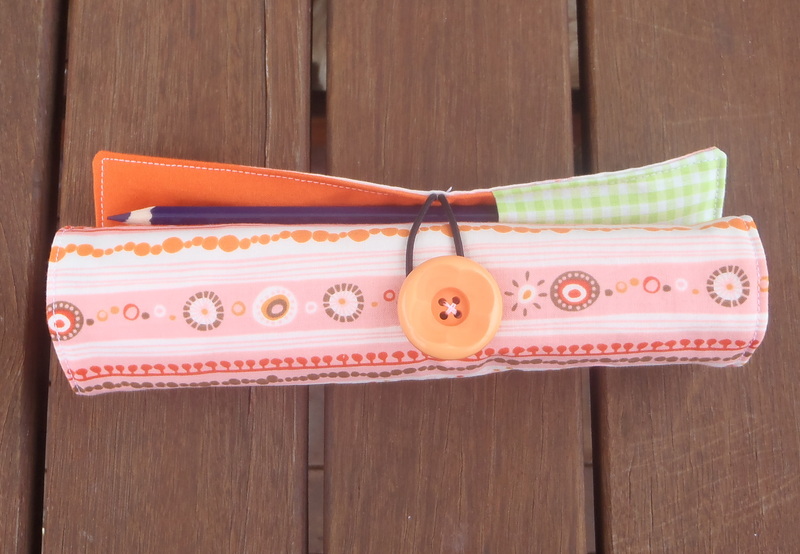 I am trying to add pockets so that the wallet sits flat when it is full of pencils. The jury is still out whether this is a worthwhile endeavour or not! It is very fiddly and the wallets don’t look as neat when they are empty. On the other hand, by using this method I can fit more pencil spaces into the same space. So the experimentation will continue! In the meantime the vibrant colours that I added to my stash with my visit to Spotlight gave me some new combinations to play with. My time of uninterrupted creating will come to an end in a few short days, so I am wondering what else I can fit in before my chicks return to the nest. I should probably also tackle Mt Washmore before they return, although I should probably call it Mt Foldmore – the clothes are all clean, they just haven’t been folded, sorted, or put away. One of the indulgences of being home without the children. Yes – it is the small things that keep me amused! 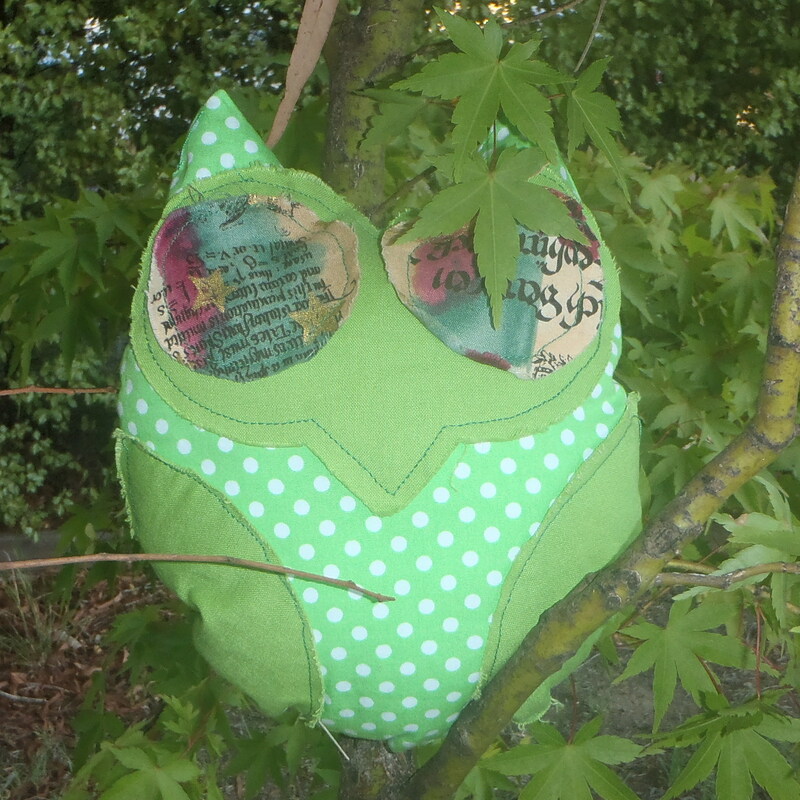 This entry was posted in Uncategorized and tagged Craft, DIY, Food, Lifestyle, Sewing, Thermomix on January 6, 2013 by a little bird made me.